C8 preforming Amazing Love (You are My King) and Power of the Cross with her sign language class during assembly. Mommy couldn't keep from crying...Her passion is undeniable..I am so thankful Daddy got to see this in person! She also had a Fetch with Ruff Ruffman (science experiment) class that she adored. She enjoyed an ice cream party with them! I am so thankful for all of her teachers and the boys' teachers as well. and played freeze tag. (Mrs. A and our middle school assistant C were so much fun!) And we just enjoyed the beautiful afternoon! ~The last day is always busy and there's lots of projects to take home. To make it easier for my kids' moms, last week they took home their magnifying glasses along with feathers from a previous lesson and the flowers we dissected. The week before that, the kids took home their clip boards along with their second water painting making them empty handed! J4 has had most of the same teachers for 2 years now. I found out recently that next year at least two will remain the same! YAY for consistency!! And we adore his teachers, too! (There are two adults and one middle school helper in each class up to K-1st. We have great ratios!) J4 got a great sand pail filled with lots of fun toys for summer and a neat little activity that I hadn't seen before. Resurrection Eggs! R6's second class is D is for Dinosaur. He adored this class! Look at this super neat paper mache activity he brought home. It hatched tonight! He also had a bag full of dinosaur goodies. C8 has had a love for cheetahs for as long as I can remember. She has always said that when she grows up, she wants to be a veterinarian and an animal rescuer. November 2010, C8 learned cheetahs are endangered. 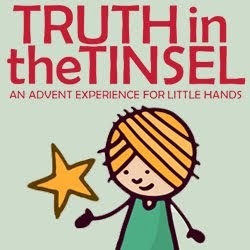 That Christmas night, it was weighing heavily on her little heart. She looked up at me and said, "Mommy, if I wait until I am a grown-up to help cheetahs it might be too late. There may not be any left to save. What can I do now, as a kid, to help the cheetahs." Once I wiped my own eyes and hugged my tender hearted little girl, we immediately put Daddy to work on finding ways she can help, NOW. Daddy came across a website www.cheetah.org that takes donations of money. They also have a wish list of items they need in Africa that you can mail directly to them. Once she found out, she ran to her room and grabbed her piggy bank and asked us to give all her money to the cheetahs. Her goal has been to bring awareness that cheetahs are in danger of becoming extinct and are in need of our help. In the year and a half since, she's been a great spokes person for the cheetah. She's not afraid to tell strangers about their plight, mind you. We've donated money on several occasions and held a lemonade/cookie stand on National Endangered Species Day last year and are planning do so again this year! She was featured in the first revamped issue of "Cheetah Strides", the CCF newsletter! What an honor that was!! So all of this to lead up to C8's "Best Day of My Life"! ~A week and a half ago I learned that there are cheetahs at a zoo a little more than two hours from our home! Today, our family saw three cheetahs in real life for the very first time!! C8 with Cheetah (she won from CCF San Diego Chapter) and Ariel cheetah she's had since age 3 1/2. C8 and her great-grandmother made the little outfit Ariel is wearing. Two cheetah are lying down in the background. There is a very real danger they could be extinct in just twenty years. Our whole family loves the cheetah thanks to C8. In our life this week we had lots to celebrate. Sunday, Big Guy (R6) turned SIX and Daddy and I celebrated our 12th anniversary! On Tuesday, Littlest (J4) celebrated his FOURTH birthday and our little Boston Terrier puppy turned one. So lots going on in just two days. 1.We gave R6 an opportunity to choose anywhere he wanted to spend his birthday afternoon (within an hour drive). 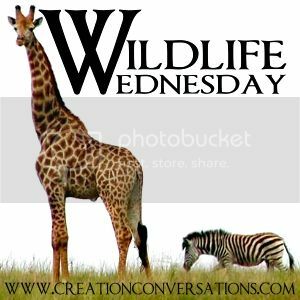 He chose Wild Animal Safari in Pine Mountain, GA! It's always so much fun to hand feed the animals in the drive through zoo from the rental zebra van! The walking zoo is great, too. They have lots of animals normally not seen in the ATL zoo. For example, they have hyenas, ligers, black bears and coyotes off the top of my head. 3. Littlest (J4) wanted an ice cream cake with sprinkles for his birthday. He hardly had the patience to wait for his present. He chose a ukelele! It's so much fun watching (and listening) to R6, J4, and Big Girl (C8) play their instruments together! 4. 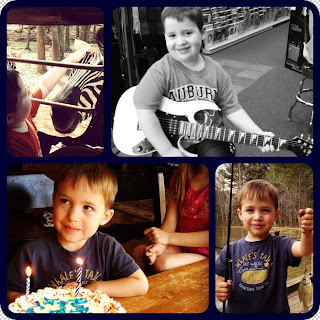 J4 chose to go fishing for his birthday, which just happened to be the first day of spring! I bought a fishing license that morning and off to the pond we went (except Daddy) he couldn't make the trip. So, I must get some kind of Mother of the Year award for taking our three little ones all by myself, stringing up their fishing poles and baiting their hooks and getting the fish off the hook! R6 became pretty good at baiting before our 3 1/2 hour trip was over! 1. Spent a drizzly afternoon at the creek. It was so nice to see all the pollen washed away-at least for now. Daddy pointed out the level of the water had decreased and asked the little ones to figure out how he could tell. The answer is because the pollen lines around the creek rocks were about 3 inches higher than the water level all the way around the rocks! Pretty cool problem solving for little ones. 2. In our Nature Detectives class at co-op this week we had a botany lesson. You can read about it here. 3. A fun project we put together today! We are (hopefully) going to have a Morning Glory Teepee Hideaway! You can read about it here. A few favorite resources used this week: We are still loving Time 4 Learning (instead of using our regular resources, we competed science, math, social studies and L.A. using T4L each day) We love Saxon Math. We continued using it and will be finishing up very soon. We also had fun using Reading Eggs. We found a 'new to us' app TeachMe: Kindergarten and TeachMe:2nd Grade which have been wonderful this week. At co-op C8 has a science experiments class and sign language class. R6 has our Nature Detectives class and D is for Dinosaur. J4 has a pre-K class. We are a little sad that next week ends co-op for the school year...Our 'big' read aloud is Incident at Hawk's Hill. We are only on the third chapter but, so far, it's a fabulous, richly worded story based on what's supposed to be a true story. I'll need to post more in depth as we get further into it! I nearly forgot to add our Bible resource from this week. It's a hidden gem we've all enjoyed. The vocabulary is rich and the lessons are so good and practical.They are based on the KJV of Proverbs. The name is Wisdom with the Miller's. There are many wonderful books in this series. This morning Daddy and I set out with the little ones to buy supplies for their Morning Glory* Teepee Hideaway! We were inspired by the fabulous book pictured below. Back to our project....we modified the directions just a tad. Morning Glories weren't the featured plant, moon flowers were. Big Guy's favorites are Morning Glories, that's why we chose to use them. Bamboo poles or 6ft. 2x2's were recommended. We couldn't find bamboo poles so we opted for 2x2's. We used (5) 8 foot 2x2's and Daddy bolted the the first two together. We tied twine around those two and began placing 2x2's one at a time and slip knot tying all together tightly as they were added. So, we'd have three and tie all three together, add another and tie all four together and so on.... Once, all five were in place, Daddy used twine to weave a support in between the 2x2's 8 inches apart for the Morning Glories to branch out on, as suggested in Roots, Shoots, Buckets and Boots. We thought a little extra stability was needed so Daddy used tent stakes to tie down three of the sides. It seems much sturdier now. Today, in the nature class I teach at our homeschool co-op, we explored the basic parts of a flower. * We also examined how water travels up the tubes in the stem and visibly into the petals! ** We used white carnations. They are such pretty flowers and perfect for study. Last night my kindergartner and I placed about 20 drops of green food coloring into a glass jar. We put a stem of four carnations in the colored water. About four hours later, I checked on them and noticed there wasn't much of a change. So, I cut the stems shorter and added about a teaspoon more of food coloring. Within an hour we saw slight coloring of the petals! This morning we printed and cut out "Parts of a Flower Flap" from Homeschool Share. (Look under Printables for the "Part's of a Flower Flap".) It was a perfect learning activity for our dissection. I added a simplified definition for each which I share in the sentence below. We used our magnifying glasses to look closely at the four main parts of a flower: the petals (attract pollinators), the stamen (makes pollen), the pistil (uses the pollen to make seeds) and the sepals (protect the flower before it blooms). We peeled back the sepals (dark green leaf-like structure) and a few petals to uncover the stamens-the long tubes with a fuzzy(ish) top. In the center you can see a light green bulb shaped object-that's part of the pistil where the seeds will develop if pollinated. Here is a close up of the stamens on the right and the pistil on the left. We didn't delve into the specific parts of the stamen (filament and anthers) or pistil (stigma, style, and the ovary which houses the ovules) in our class. Here is a magnified picture of the inside of the pistil (technically the ovary and you can see the individual ovules)-where the seeds/fruit will develop if pollinated. *My research for basic parts of a flower came from The Usborne First Complete Book of Nature and various online Google searches to dig a little deeper. **Mudpies to Magnets: A Preschool Science Curriculum- I remembered coloring petals years ago with our first child and tried doing the experiment from memory. I double checked the book for this post and it states to cut all but six inches off the stem at an angle and use 10 drops of coloring to 1/4 c of water. Mudpies to Magnets is a fabulous science resource for little ones! 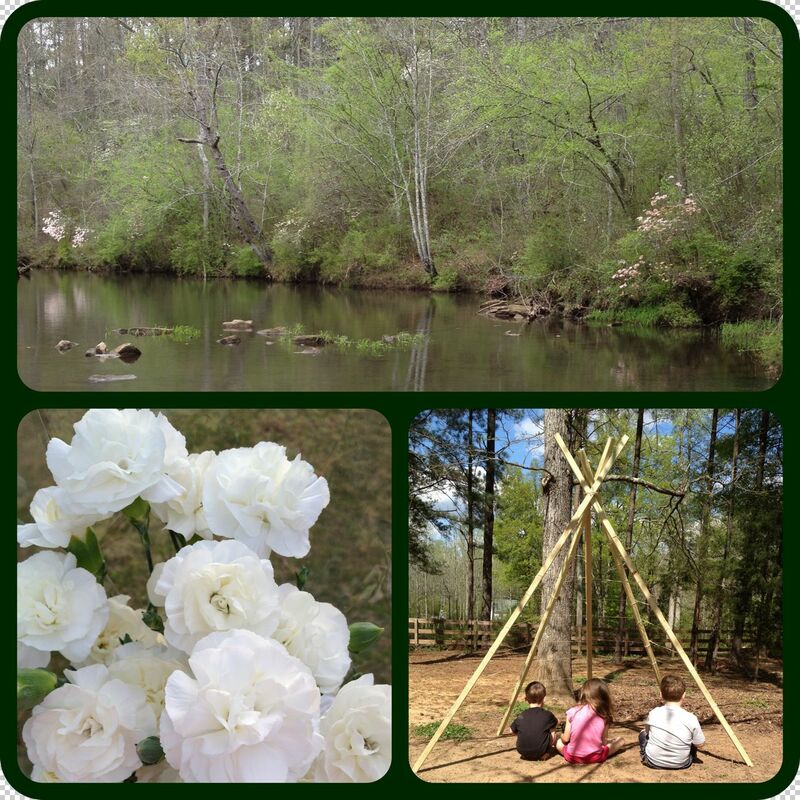 I wanted to highlight a few of our favorite outdoor activities from this week. 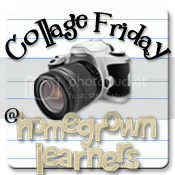 I am linking this post with Homegrown Learners Collage Friday here. 1. We witnessed the birth of a colt this week! 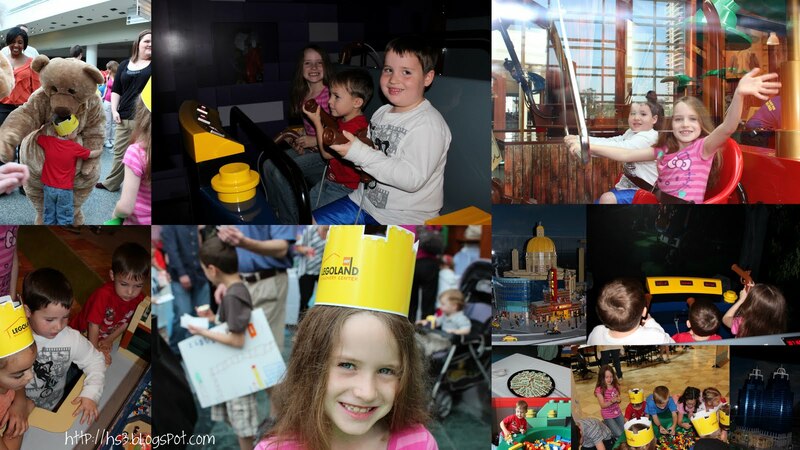 You can read about our experience here! 2. Each child picked out their own flower seeds to plant on Monday. We have sunflowers, morning glories, impatiens and cosmos. We also began preparing our garden for planting. 3. Fishing! We visited my family in south AL this weekend. Catch and release fishing is always a big part of our trip! 4. On our way home we stretched our legs at one of our favorite state parks ~ my husband's fabulous idea! Thursday afternoon we witnessed a beautiful miracle. As we were traveling through rural Montgomery, Al we passed a horse ranch. We saw a horse lying down in the pasture a good 100 feet away. I noticed she was giving birth at that very moment! We turned around, parked on the side of the road and walked quietly to the edge of the fence. The little foal wasn't fully born! Big Girl, Big Boy, Littlest, Mommy and Daddy were in awe. We were determined to stay until Little One took those first steps! We watched Little One stretch and move to break away from the amnion (birth sac). To free himself completely took a good twenty minutes. At this point the ranch hand made his way out to the mare and her foal. Thankfully, the rancher was a kind man. After another ten minutes, he called over to us, remember we are at the edge of the fence quietly watching. He asked if we could get the kids over the fence! I can tell you right now, there was no way a little barbed wire was going to stand in our way! Daddy managed to get our three over and then we all made our way over to the next fence which was only 20 feet from mommy and colt! Yes, Little One was a baby boy! The rancher told us the mare had been in labor for about two hours and that it is extremely rare for a birth to take place during the day. Daddy and I kept thinking what a miracle for us to happen upon a miracle at just the right time. Truly a wonderful gift to us from God. We all grew so fond of mama and Little Colt. He would look over to us so sweetly. More fun with Dr. Seuss: After reading Ten Apples Up on Top, Caraline suggested this fun activity. They had the best time trying to balance apples on their heads! I loved watching them. Littlest balanced one and Big Boy and Big Girl balanced two! We also had a civics lesson on voting. The kids accompanied Daddy and Mommy to the polls on Super Tuesday and witnessed a primary first hand. This is their third time going with us. We want our children to appreciate what a special privilege it is to vote. Littlest and I saw our friend, Great Blue Heron, Tuesday afternoon. What made this sighting extra special is that Mr. Heron decided ever so kindly to fly over to the side of the pond where we were standing. Usually, he keeps his distance. He didn't, however, catch his dinner while we quietly watched. It's a special treat for all of us when he does! 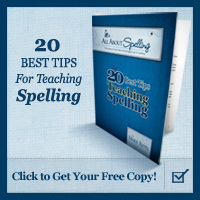 A Review Opportunity For Time4Learning! Woke up to fabulous news! We got our confirmation letter to a very special ribbon cutting ceremony in a couple of weeks (more on that later) AND I won a colorful beanbag and VersaTiles Favorite Children's Books (PrimaryStarter Pack) from ETA/Cuisenaire! Now that's a great way to start a Monday! I want to highlight a few other bright points in our day. We began rowing The Clown of God by Tomie dePaola. I can already tell it will be a family favorite. It kept the attention of all three easily. It would be a great story to read around Christmas, but last week we checked out Little Grunt and the Big Egg by the same author and it was a huge hit. I remembered Tomie dePaola was on our FIAR list and that is why we began The Clown of God today. The setting is Italy and as an extra activity, the kids watched Muzzy in Italian while in the car this afternoon. We were also careful to use grazie and arrivederchi during our day as suggested by FIAR. Today was gorgeous. We completed most of our seat work outside.We made sure there was time for outside pretend play and a bike ride, too. While out and about, Ryan saw this and declared he'd found a "cotton tree"! Bradford Pears are in full bloom and just beautiful this time of year. Their smell, we'll that's another story! Tonight, we had a rare opportunity to view Mercury, Mars, Venus, Jupiter and Saturn all in one night. Mercury still eludes us...We need to be on a huge lake or on the coast where the western horizon is just water I suppose. Anyway, we did get the telescope out. It took forever to get it focused, but we did see Mars. The moon was bright and beautiful. Jupiter's stripes were stunning and it's four visible moons were shinning brightly. Venus we admired with just our eyes. It's so bright. We found Orion; our family favorite is Betelguese. Sirius was a point of interest for Ryan tonight. Grateful, were able to share our astronomy adventure with a neighbor and her eight year old daughter. If you're interested in an easy to follow night sky almanac, try Jay Ryan's here. I listened to a talk he gave tonight courtesy of This Old Schoolhouse and he just makes sense to me. I have his January and March almanacs and have learned a great deal from them.